REVIEWS - Rustique Rentals and Event Design | Boise Vintage Wedding Rentals, Planning and Photography Props! Rustique rentals and event design Really came through for us on our wedding day! Jenny the owner was on top of everything we needed. She made our venue look beautiful. I am so thankful for her business! Her service was awesome along with all her rentals. She made our special night so special! Thank you! Rustique Rentals did an amazing job designing my wedding! Jennifer stayed in constant contact with me and made sure I was completely satisfied with the end results. I couldn't have asked for a better company to help plan the wedding of my dreams! Jennifer, the owner, is great to work with! She has a great variety of beautiful and unique pieces at an affordable price point. I loved all the pieces that I chose for my wedding and would/have recommended Rustique Rentals to friends and family that are planning weddings and other events. I would choose them again and again. Extremely creative and talented, was able to provide the perfect decor for both our church and reception. Was able to provide very high quality at affordable prices and willing to work with our budget. The attention to detail and recommendations made contributed to making our day special beyond my wildest dreams!! Would recommend to anyone planning a wedding!!! Jenny does amazing work, she has an eye for detail, elegance and beauty. She is a must if you are planning a wedding. Jennifer did a wonderful job with our wedding and we are so happy we chose her!. She made us feel at ease and everything was perfect. I would hire her anytime. Jennifer was so fun to work with! She had great style and an eye for detail. Everything looked stunning and so well done! We had the best wedding decor ever! I felt like a French princess. Everything was so beautiful. Jenny is amazing to work with - it's like she understood everything I was thinking and built it into the most precious displays. 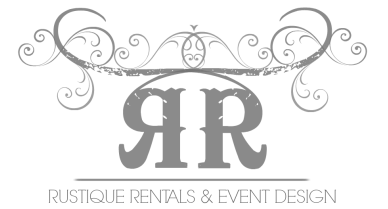 If you're looking to have your wedding staged to be above & beyond - call Jennifer at Rustique Rentals & Event Design! 5 Stars.